MORE JIHADI NEWS FROM THE UK: ABU IZADEEN GETS KICKED FROM THE CAN……. – The Tundra Tabloids……. Does this guy look like he’s struggling with hemorrhoids or what? Abu is back in town, with more mischief up his pajama sleeve for sure. Actually, it’s a toss up between Izadeen and Choudary on being the poster boy for the Counterjihad. The Sun: TERROR fanatic Abu Izzadeen was freed from prison today — and shamelessly attacked the poppy as he left. The al-Qaeda supporter — caged for inciting hatred and raising funds for terrorism — got a hero’s welcome from 50 bearded cronies at the gates of Pentonville nick in North London. 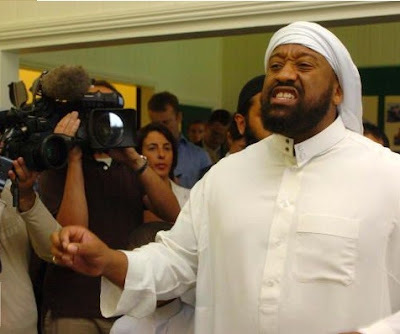 Izzadeen, 35 — who shot to fame in 2006 when he roared down Home Secretary John Reid in public — climbed on to the prison’s ten-foot wall to give a rabble-rousing speech to his demented band of followers. And he called for a boycott of the poppy, worn to commemorate our troops’ sacrifices in conflicts. The bile-spouting crackpot launched a tirade against Our Boys in Afghanistan, saying: “I don’t believe anybody, even non-Muslims, should buy a poppy because they should not endorse this illegal war. 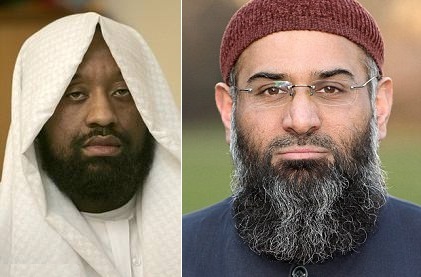 Previous Post Previous Post ANJEM CHOUDARY GETS ”OWNED” BY CHRISTIAN ARAB IN TV DEBATE……. Next Post Next Post ARAB PROPAGANDA ALERT: JEWS CAN LEASE EAST J’LEM FOR 99 YEARS……..